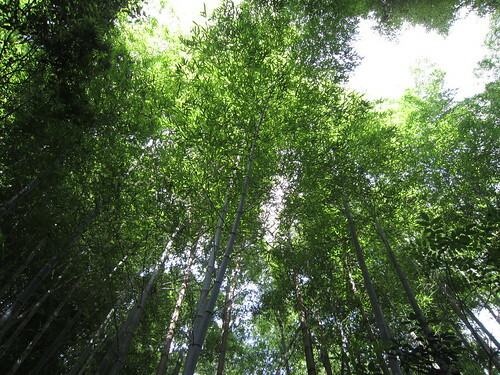 The bamboo grove is the popular site of Kyoto. 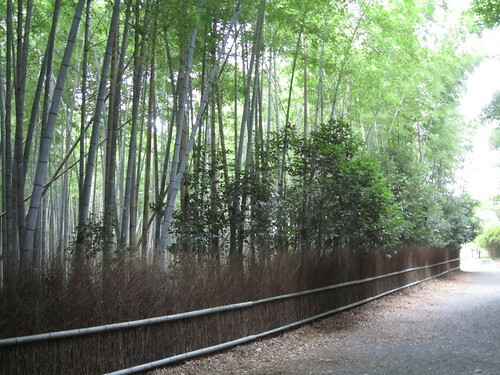 Especially the bamboo at Arashiyama is familiar to Kyoto people and also travelers. We feel a little cooler than downtown at this grove. The long and simple trunk looks cool and dignified. 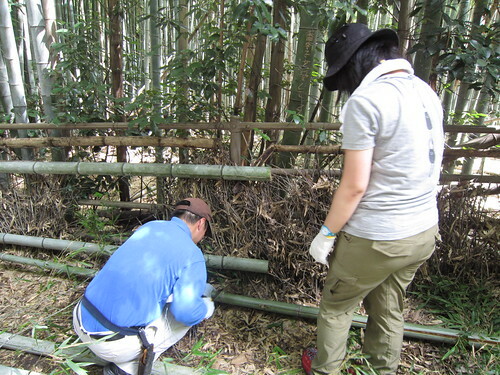 Yesterday I tried to repair the bamboo fence at Arashiyama. 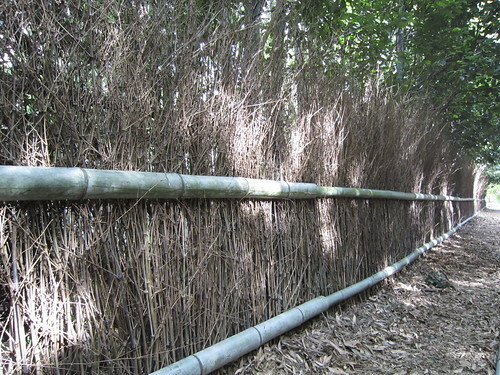 There are some kinds of bamboo fence such as using only trunks and using trunks and twigs. 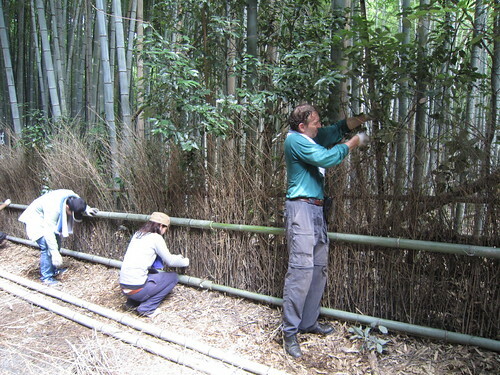 For the fence of the bamboo grove here, we make it with trunk and twigs. It looks simple and was very simple actually. We used only bamboo, wire and our efforts. It took about 4 hours for making about 30m fence. I was really excited to see this beautiful fence we made. It’s natural, simple, safe and beautiful. It’s perfect!! We have to repair them once about 2 years. It is same when we do something for nature. We’ve been caring mountains, river, grove.. If we stop caring, nature is going to ruin. 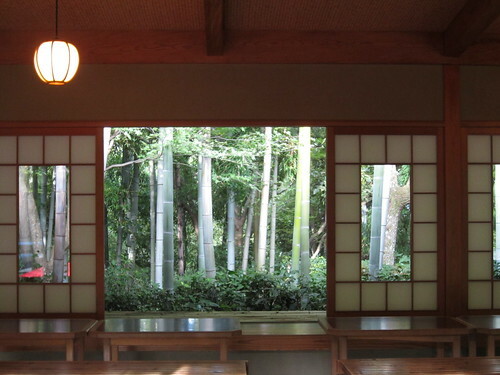 After working, cold matcha tea and sweet were served at the garden of Okouchi Villa next to the grove. It was delicious. And we took a walk around the garden. I found some of maple leaves are changing to red color. It’s still hot, but autumn is surely coming. 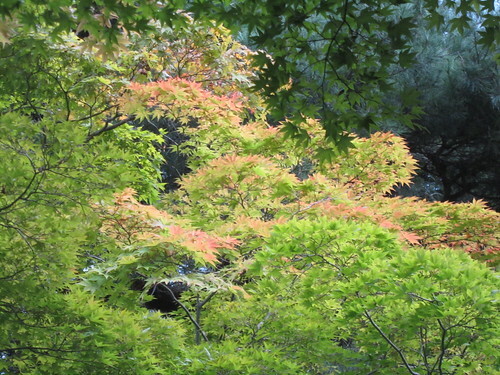 I saw Mt.Daimonji and Mt.Hiei from the hill of the garden. It was first time to see them from the west side of Kyoto. 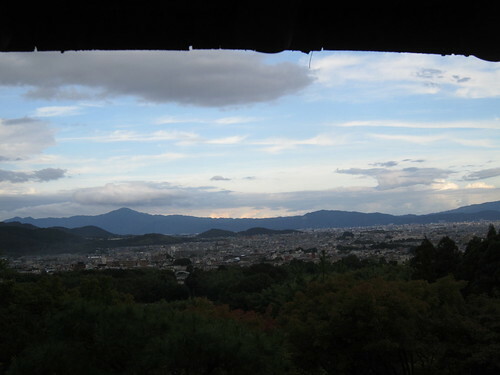 The scene of Kyoto from the west is nice as well! 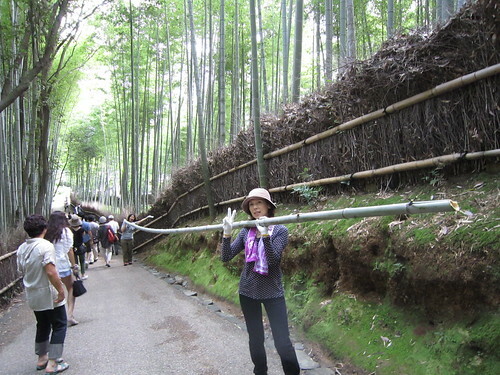 May Kyoto be safe forever..